Infants' trainers designed for lightweight comfort. 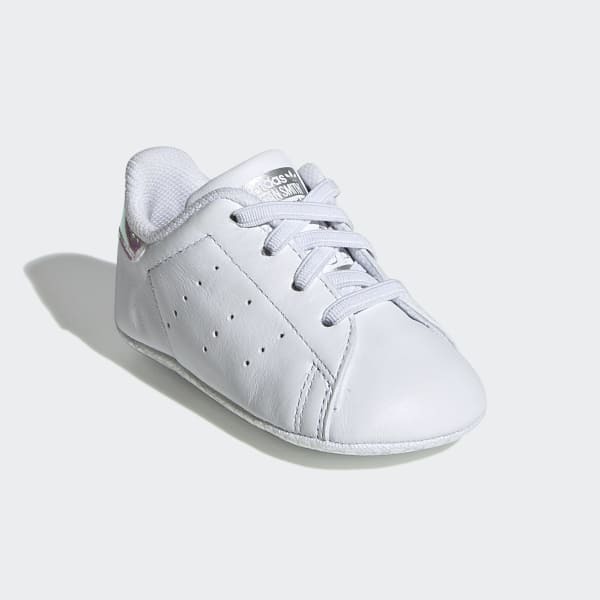 Crisp Stan Smith style, sized down for the littlest feet. These infants' shoes have a soft, flexible leather upper that moves when they do. An anti-slip woven outsole helps keep them on their feet. Elastic laces make the shoes easy to get on and off. Iridescent details add a touch of shine.